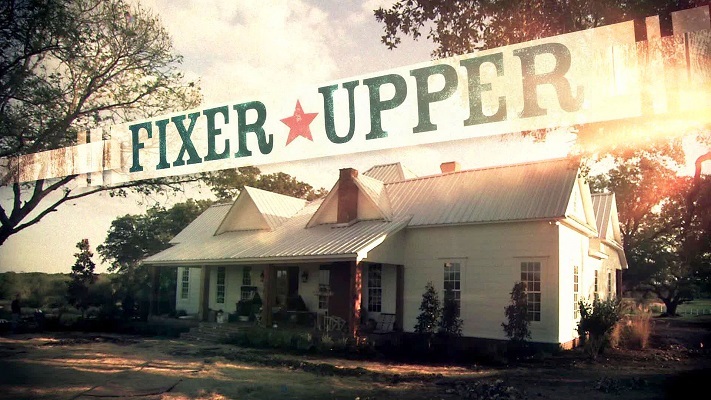 Here are the links to all the messages and outlines for the Christian Home Fixer Upper series. I pray God will use these messages to help you better understand God’s purpose and design for Christian home and family. Press Release: Congratulations! You have been selected for the next edition of Christian Home Fixer Upper! We invite you to join us Sunday mornings at Plantation Community Church as we explore what God teaches us in the Bible about marriage and family, couples and singles, husbands and wives, mothers and fathers, children and parents. The message series begins on Mother’s Day and will continue through Father’s Day. The family is the basic foundation of society and the first institution God put into place after creation. God designed the family as a place for love and laughter, closeness and intimacy, learning and growth, nurture and protection. When working as God intended, a loving, healthy family is one of the greatest blessings we can enjoy in life. However, when the family breaks down, the very thing God designed for our good can bring about great pain and frustration instead. Sadly, many families are in trouble today. Spouses stop communicating; children rebel against their parents; singles struggle with loneliness and God’s will for their lives. Infidelity, abuse, separation and divorce only add to the heartbreak and fuel the cycle of broken families in society. 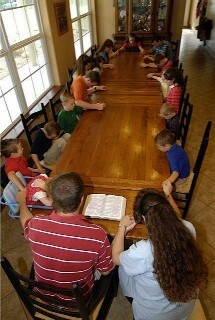 Christian families are not exempt, and many families even within our churches are crying out for help. The breakdown of the family is no fault of God’s design but is a result of our own wrong choices in many areas. We need to look at God’s plan for the family once again and ask God to help us regain what we have lost. Strong, healthy families are essential to strong, healthy communities and churches. God knows best how the family is supposed to work. He designed it! And when we follow his instructions as laid out for us in the Word of God, we can begin to know the family as the blessing God intended for us and our children. We encourage you to come and share in this special series of messages with us. We pray that these messages will help heal hurting homes, strengthen already healthy homes, and build a strong foundation for our children’s future homes. Therefore I will balance ministry with personal and family life. A healthy self, a healthy family and a healthy church are all part of God’s kingdom which I am commanded to seek (Matthew 6:33). One of the qualifications for ministry is to manage my own family well (1 Timothy 3:4). I must set appropriate boundaries for myself and for my family so as not to let church ministry overrun my life. Christ has promised to build his church (Matthew 16:18), and I must trust him to do it rather than my own human efforts multiplied to the damage of family or self. 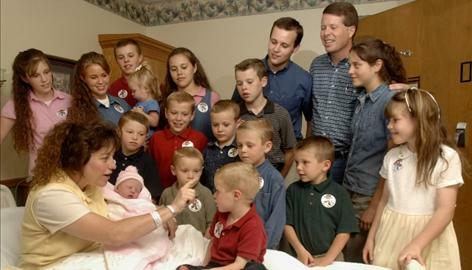 Michelle Duggar gave birth to her 18th child Thursday. The USA Today report is below, and you can read more about the Duggar family here. An Arkansas woman has given birth to her 18th child. Michelle Duggar delivered the baby girl by Caesarean section Thursday at Mercy Medical Center in Rogers. The baby, named Jordyn-Grace Makiya Duggar, weighed 7 pounds, 3 ounces and was 20 inches long. The Duggars now have 10 sons and eight daughters. Jim Bob Duggar said Michelle started having contractions Wednesday night. She needed the C-section, her third, because the baby was lying sideways. Jim Bob said both baby and mother were doing well Thursday night. I love this video. It is a remarkable blend of musical, lyrical and visual arts working together as the artists reflect on the bittersweet (but mostly sweet!) transition from single to family life from a Christian perspective. 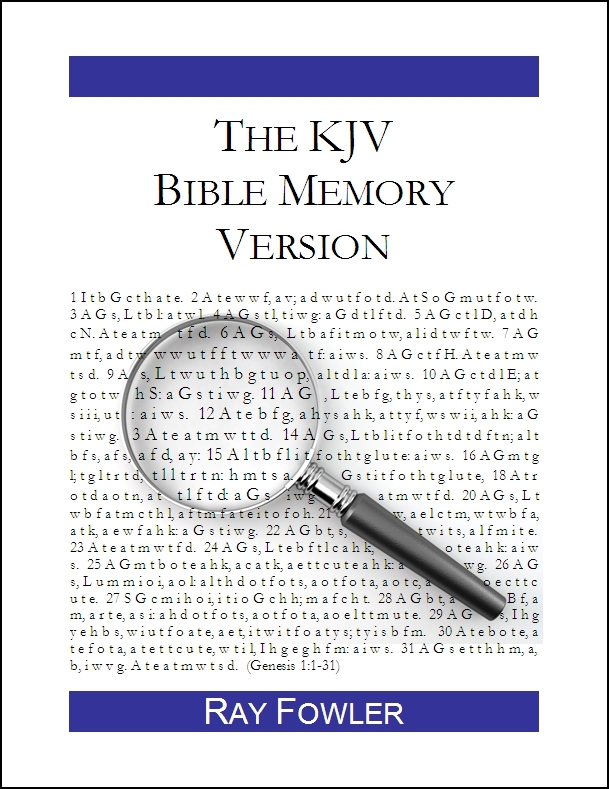 This was put out by the Gospel Coalition in 2007. Tim Keller answers the question: “What do you tell pastors about their family life?” You have probably heard it all before, but these are wise words and well worth repeating. You don’t have to be a rocket scientist to see that there is no way for that to happen easily, and people are going to get mad at you if you do it right. And Jesus says, “Beware when all men speak well of you.” So … balls are going to drop and people are going to be angry at you, but guess what, balls are going to drop and people are going to be angry at you anyway, and then you’ll be prayerless and you won’t have a strong family. So you might as well have a strong relationship with God and a strong family and have people mad at you, because they’re going to be mad at you anyway. Family vacations provide a unique opportunity each year for fathers to create memories their children will never forget. Memories that will last a lifetime. Memories that will be recreated by your children with your grandchildren. Memories that will outlive a father. But in order to create these memories, a father must be diligent to serve and lead during a vacation. How a father views his role on a vacation will make all the difference in the vacation. A Servant Heart: The father must enter family vacations committed to serve, lead, plan, initiate, and work, and do all this with joy. This isn’t your time to rest. Only your wife deserves to rest on vacation (because no one works harder than she does the rest of the year). A Tone-Setting Attitude: The attitude of the father transcends the vacation location each and every time. And on vacation your children are carefully studying and monitoring your attitude. The father’s attitude is the tone setter, and a father who lacks joy and gratefulness will infect the entire vacation. An Awareness of Indwelling Sin: Though you are going on vacation, you would be wise to remember that sin never does … A wise husband begins by anticipating how and where he will be tempted by sin on vacation. Ponder in advance your existing sin patterns and potential temptations on this vacation. Studying Your Family: My idea of a great vacation is nonstop activity … But I’ve learned that this approach to life and vacations is not shared by my wife and daughters … How can you most effectively serve your family on vacation? … Find out what they would like to do and if possible make it happen, even if it involves just resting and relaxing. Skillful Surprises: The most important effect of surprising our family is not the surprise itself but the communication of our deep affection for them through the surprise. Long after the surprise has taken place or the gift has outlived its usefulness, the expression of affection and the memory of the moment remains. Think carefully and plan purposefully whom you can surprise. Intentionally Together: What a family does together is much more important than where a family goes together. It’s possible to invest some serious coin in a family vacation and not experience the deepening of relationships as a family … Remember, it’s a FAMILY vacation, intended to build the family together and deepen the relationships between family members. Gratefulness to God: Vacations are a gift from God. I want my family to perceive God’s kindness and generosity each day, and I want them to express their gratefulness to God each day. I have great memories of family vacations as a kid, and I know my Mom and Dad both worked hard to make it happen. How about you? Are family vacations an important part of your family traditions? What do you think about C.J.’s seven lessons? Okay, this is pretty sad. I have been playing Mr. Mom while my wife, Rose, is away visiting family in Texas. We have a family tradition of eating subs on Sunday afternoons. The local Subway is just a half mile down the road. Rose has all our favorite orders memorized. She calls the Subway store after church, places the order, and we pick up the subs for lunch. I know. I am a pathetic Mr. Mom. But Mrs. Mom comes home tomorrow. Good things come to those who wait. Food: The church has been wonderful in bringing meals over for the boys and me. They do this because they love our boys and do not want them to starve. My boys made a big point of describing my cooking in gory detail to everyone just to make sure. They are true survivors. Kids: Boy, kids ask a lot of questions. About all sorts of stuff. All the time. They also get sick and need transportation to go places. Who would have thought? Bedtime: I hate going to bed alone. I fight it for hours, then finally crawl into the sheets exhausted. I know, I’m a wimp. Homeschooling: Three kids in three different grades take a combined total of seventeen different subjects every day. That adds up to a whole lot of work for both them and their teacher. (That’s me while Rose is gone.) I am proud of how hard they work at their studies and amazed at what Rose does every day, all year long. Mealtimes: Mealtimes without Rose are quieter with less laughter. Friends from church have brought over some great meals, but nothing beats the whole family sitting around the table together enjoying mom’s good home cooking. Clothes: My magic dresser seems to be broken. What’s up with that? Cell phones: Cell phones with unlimited family minutes are a wonderful blessing when your loved ones are far away. Fridays: I miss Friday Morning Cracker Barrel with my Rosi. Enough said. Spanking is a controversial subject today. Some people advocate the spanking of children as a legitimate means of parental discipline. Others try to equate spanking with hitting or child abuse. They say that if you spank a child, you teach the child violence and the child will end up hitting others. We used spanking with our children when they were younger as a means of discipline, along with other disciplinary tools (reprimand; loss of privilege; time-out; etc.) Even at a young age, they were able to understand the difference between spanking and hitting. And now that they are older, I am happy to report they do not exhibit any violent tendencies. I believe spanking has a place in parental discipline, but we should have some guidelines to follow. Here are some principles that I encourage parents to observe when spanking a child. Do not use spanking as your only means of discipline. It is best to reserve spanking for open defiance or disrespect from a child. Explain to your child what you are doing beforehand. – Tell your child that you are going to spank him or her. – Tell them why you are spanking them. – Tell them where you will spank them and how many times. Be sure to affirm your child afterwards. – Affirm them verbally (tell them you love them). – Affirm them physically (hug and/or hold them). – Make positive eye contact (for reassurance). Here is a chart I have given to parents in the past to help them understand the difference between spanking and hitting/or abuse. Spanking is different from hitting in the act, manner, intent, attitude and results. How about you? What are your thoughts on spanking and the discipline of children? Feel free to share in the comments. 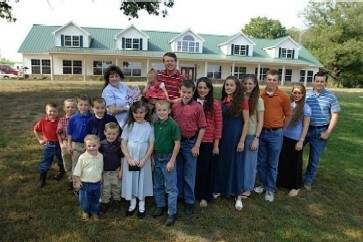 Updated 9/1/2009: Michelle and Jim Bob Duggar announced they are expecting their 19th child in March. 42-year-old Michelle Dugger was surprised to find she is pregnant only eight months after the birth of her 18th child. The Duggars have a show on The Learning Channel (TLC) called “18 Kids and Counting”. Their first grandchild is due in October. Updated 12/18/2008: Jordyn-Grace Makiya Duggar was born today weighing 7 pounds, 3 ounces and was 20 inches long. Click here for a picture of the whole family. We have dinner at 5:00 p.m. … We do another “quick clean” of the house after dinner & then have free time … 9:00 p.m. is Bible time with Daddy. This is probably our favorite time of day. Daddy reads the Bible & we discuss the passage together. We talk about the day & bring out points of how to apply what we have learned … Bedtime is 10:00 p.m.
We have a master schedule of each family member’s responsibilities displayed on our dining room wall … For each month, we also have individual daily checklists which cover schoolwork, chores, music lessons, & personal hygiene. These were designed by Daddy so we could see at a glance how each child is doing. These checklists enable us to keep our children accountable & also reward them accordingly. And finally, here are some amazing pictures of the family and their home. (The site says “18 people living in one house,” but I think they missed baby Jennifer who was born on August 2, 2007.) I especially like the walk-in closet, the climbing-wall on the side of the bunk bed, and the whole family holding hands for prayer around the (very long) dining room table. Did you enjoy this post? Click to subscribe by email or feed reader so that you don’t miss any future posts. Joe Carter from the Evangelical Outpost has gathered the following family facts relating to a father’s influence on his children. Fathers’ religiosity is linked to higher quality of parent-child relationships. Fathers who regularly attend religious services are more likely to be engaged in one-on-one activities with their children. Civically active fathers are more likely to participate in youth-related activities. Fathers’ engagement in their children’s activities was linked to higher academic performance. Among adolescent boys, those who receive more parenting from their fathers are less likely to exhibit anti-social and delinquent behaviors. Among adolescent girls, those who have a strong relationship with their fathers are less likely to report experiencing depression. Close father-adolescent bonds protect against the negative influence of peer drug use. Adolescent girls who have a close relationship with their fathers are more likely to delay sexual activity. Adolescent girls whose fathers were present during their childhood are less likely to become pregnant. Adolescent males who report a close relationship with their fathers are more likely to anticipate having a stable marriage in the future. Happy Father’s Day to all you dads out there. Please know how important you are to your children. Note: All of these facts come from the Heritage Foundation’s Family Facts page, where you can find much more research on family, society, and religion. You can visit Joe’s page here for links to sources for each of the specific facts cited above.